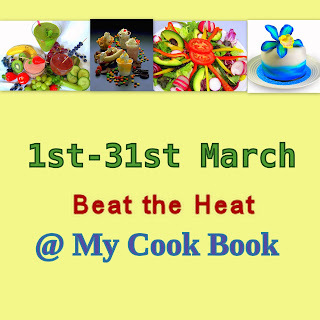 Woks & Bows: Summer is back with my 2nd Event-"Beat The Heat"
Summer is back with my 2nd Event-"Beat The Heat"
As the theme is "Beat The Heat" remember it and prepare any kind of coolers, ice-cream, salads, smoothies, mocktails & as we all love baking, I added cakes and cookies too. 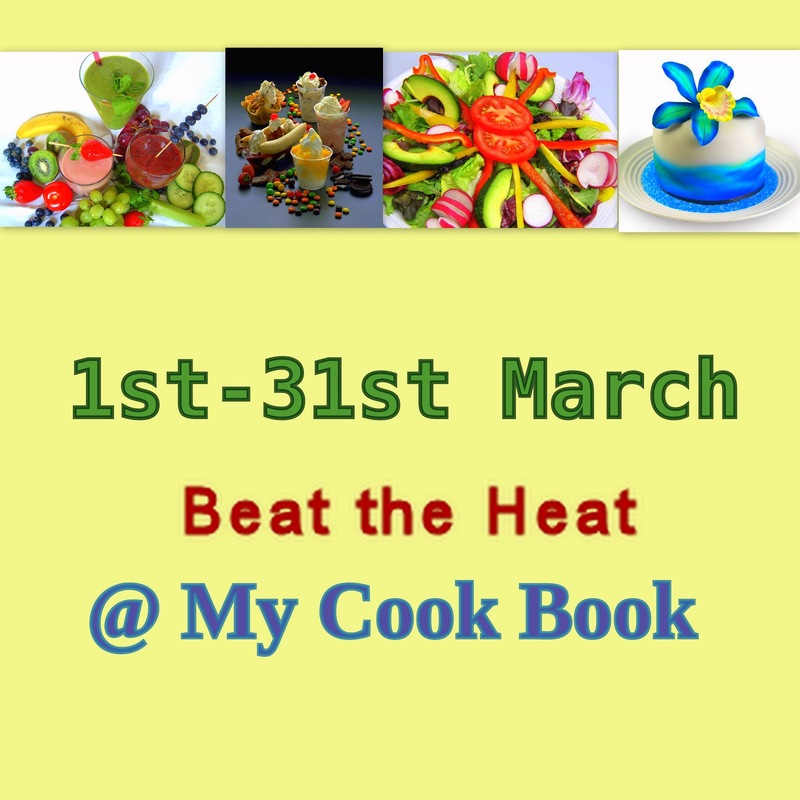 "Veg Only although eggs allowed in baking" and post it in your blog from 1st - 31st March. "NO ALCOHOL"
Please post your link below and usage of the logo is mandatory. Archives are welcome only if re-posted and linked back to the announcement page(only 2). As many entries are allowed. Beat the Heat...really looking forward for recipe to combat heat. I have seen this many times but was hesitating to ask - what is the meaning of reposting? By the by great event, I will send my entry ASAP. Hey Fathima..u are welcome to the Event. My My !! Feel like summer is back.. hmm will try something cool n post..
this is aishwarya here. I have linked two of my archived post. Will send the new entries soon. Thank you. I have to make a post about the archived post and link it to this event or post the whole post again? By the by i am trying to link one of my recipes its not working. must be a problem with my connection. I will email you as soon as possible. linked my entry...but couldn't see it on the display, plz let me its added or not..or else will mail you...Thank you! Awesome theme! Hopefully I can contribute something soon. It is still winter for us! Linked my entry. not sure if it got linked.. Its not visible here. So sending you via email..
have linked my entry, and following you :) .. visit mine at your spare time..
Lovely event and linked my entry. Following your blog. Hi! Looks like there is some problem with the link tool...my entry (Asian Inspired Pineapple Cucumber Salad) is not getting linked back to the recipe page. Do I need to relink it or should I send it to you via mail? Hi Dear, linked my entry for your fabulous event. Just linked my entry Jaljeera. Hope you'll like it.